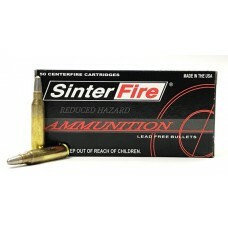 Browse our selection of lead-free frangible ammunition. 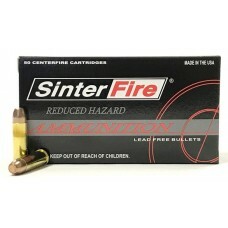 We offer Reduced Hazard training ammo, GreenLine completely lead-free frangible ammo and Special Duty hollow-pointed frangible ammunition. 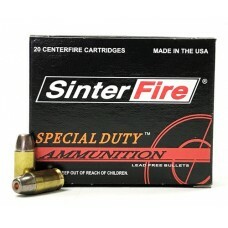 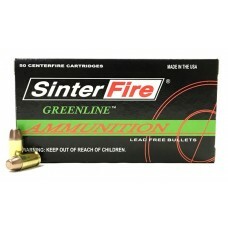 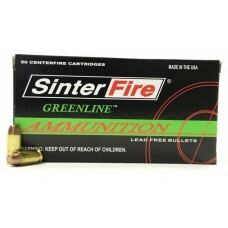 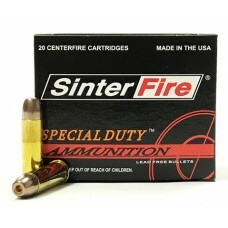 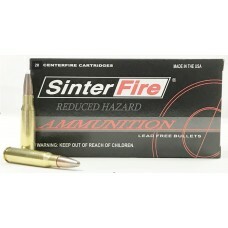 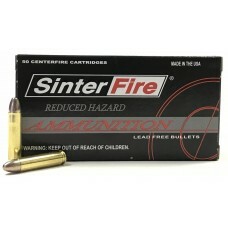 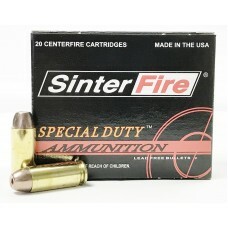 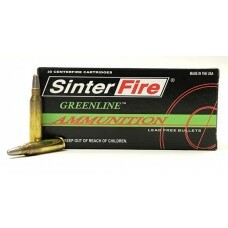 SinterFire 10 mm Auto GreenLine Ammunition has all the performance benefits of our Reduced Hazard Am..
SinterFire 10 mm Auto Reduced Hazard Ammunition joins our patented lead-free, frangible projectile w..
SinterFire 10 mm Auto Special Duty Ammunition brings to bear the devastating effects of frangible wh..
SinterFire 223 Remington GreenLine Ammunition has all the performance benefits of our Reduced Hazard..
SinterFire 223 Remington Reduced Hazard Ammunition joins our patented lead-free, frangible projectil..
SinterFire 30 Carbine Reduced Hazard Ammunition joins our patented lead-free, frangible projectile w..
SinterFire 308 Winchester Reduced Hazard Ammunition joins our patented lead-free, frangible projecti..
SinterFire 38 Special GreenLine Ammunition has all the performance benefits of our Reduced Hazard Am..
SinterFire 38 Special Remington Reduced Hazard Ammunition joins our patented lead-free, frangible pr..
SinterFire 38 Special, Special Duty Ammunition brings to bear the devastating effects of frangible w..
SinterFire 380 Auto GreenLine Ammunition has all the performance benefits of our Reduced Hazard Ammu..
SinterFire 380 Auto Special Duty Ammunition brings to bear the devastating effects of frangible when..
SinterFire 40 S&W GreenLine Ammunition has all the performance benefits of our Reduced Hazard Am..